In April of this year I completed my 11th trip to southern Israel for fieldwork in the Mesozoic. My heart warmed every time I saw these robust plates of the crinoid Apiocrinities negevensis, which was reviewed in a previous blog post. They are thick disks of calcite with a heft and symmetry like exotic coins. 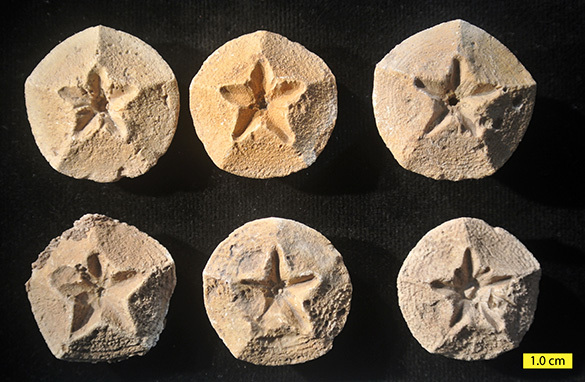 They are easy to spot in the field because of their size and incised perfect star. 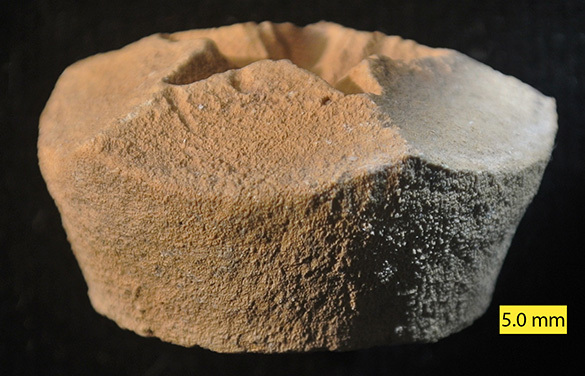 They have been a critical part of our paleoecological and systematic studies of the Matmor Formation (Callovian, Middle Jurassic) in the Negev. Lizzie Reinthal (14) and Steph Bosch (14) know them particularly well! This part of the crinoid is called the proximale. It has a round base that articulates with the columnal below it in the stem, and its top has five facets that hold the basal plates of the calyx. It is thus the topmost columnal, specialized to serve as the integration between the articulated stem below and the complicated head above. The pentastellate (five-armed star, but you probably figured that out) impression is called the areola. In the very center is the open hole of the lumen, which goes from the head all the way down through the stem to the holdfast as an internal fluid-filled cavity. 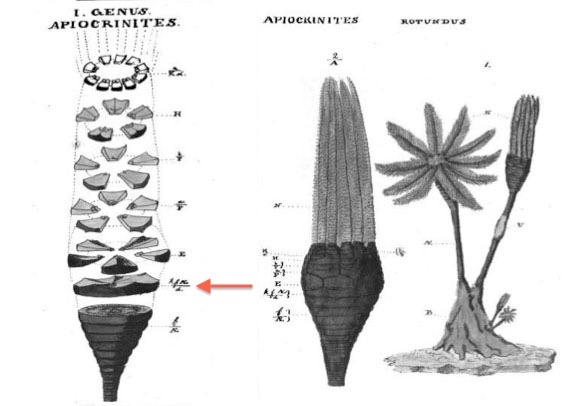 Above are Miller’s (1821) original illustrations of Apiocrinites rotundus with the proximale shown by the red arrow. Note how thin this piece is compared to the equivalent from Apiocrinites negevensis. The significant thickness of the proximale is one of the distinguishing features of the Negev species. I saw many more of these beautiful fossils in the field this year. We don’t need any more for our research, but they always indicate that other good fossils are nearby.